Early and regular check-ups are important to you and your baby’s health. Here’s how you can get the care you and your baby need. The Medicaid Prenatal Care Services can help you get the care you need for your and your baby. Medicaid Prenatal Care Services offers complete pregnancy care and other health care services to women and teens who live in New York State. And there’s no cost to eligible woman who participate in Medicaid Prenatal Care Services. Who can get Prenatal Care Services? 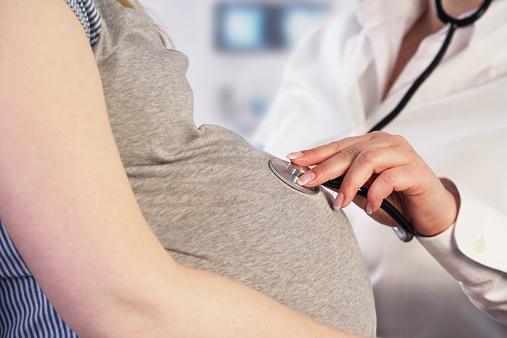 Women and teens who live in New York State who are pregnant and meet certain income guidelines can receive complete medical care during pregnancy, delivery and for at least two months after delivery. You may be eligible even if you have health insurance. All of your pregnancy care is confidential. To get more information and a referral to a pregnancy care provider please call the New York State Growing Up Healthy Hotline: 1 (800) 522-5006. Your call is completely confidential. For more information on health insurance options for women and children, call Mohawk Valley Perinatal Network at 315-732-4657 or toll free 877-267-6193.